James Leonard Jennison and his twin sister Millicent Annie were born in Manchester on 18 September 1896 to James and Pauline Jennison. 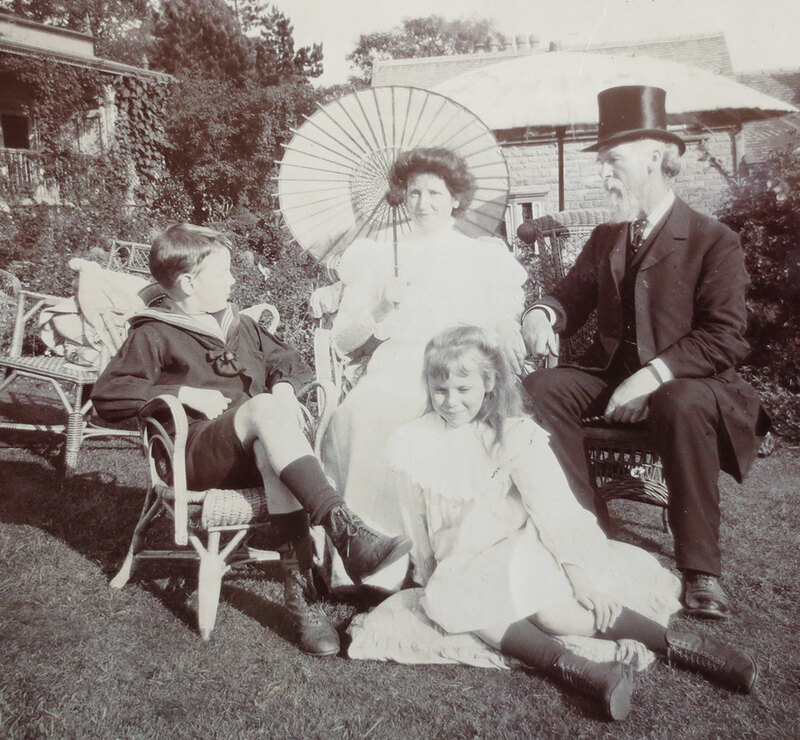 The Jennison family were the founders of Belle Vue Zoo and Leisure Park, James senior having taken over management of the park when his father died in 1869. He married Pauline Mould in 1895 at the age of 53 and bought a country retreat in Wincle called Rose Cottage (later simply ‘The Cottage’). It seems likely he bought the house, farm and cottages from a Mrs Alsop who put them up for sale in 1895. The twins were baptised in Wincle on the 10 November 1896. James junior attended Aldro Prep School, Eastbourne, from 1907-1909 then went on to Rugby in 1909, winning a Scholarship in 1910 and a Mechanical Science Scholarship at Trinity College Cambridge in 1914. He also joined the Officer Training Corps. He left school in 1915 but did not take up his place at Cambridge. Instead he worked for some months at A.V. Roe and Co as well as Belle Vue before enlisting at the end of November that year. He was commissioned as Second Lieutenant into 15th Service Battalion (Leeds Pals) West Yorkshire Regiment, The Prince of Wales Own, in January 1916. After some 9 months in France he was recommended for a decoration for the capture – almost single handed – of an enemy field gun. During the Battle of Arras in May 1917 he was reported missing following a small local attack at Gavrelle, Vimy Ridge. He was later declared to have died of a rifle shot on 3rd May that year and is commemorated on the Arras Memorial C.W.G.C Bay 4. James was awarded the British War Medal and the Victory Medal. A cousin Norman also died in the conflict and James’ father died later in 1917 possibly as a result of the loss of his only son. His sister Millicent married a John Grantham in September 1918 and they settled in The Cottage in Wincle. In the 1920s they rebuilt the house entirely and called it Mellor Knowl which still stands today. John Grantham was active in the church, the Wincle Soldiers’ Fund and instrumental in arranging the local memorial to the Great War. James is remembered on the Bell Vue War Memorial (http://gortonphilipsparkcemetrywargrave.weebly.com/belle-vue-war-memorial.html) as well as at Wincle Church.